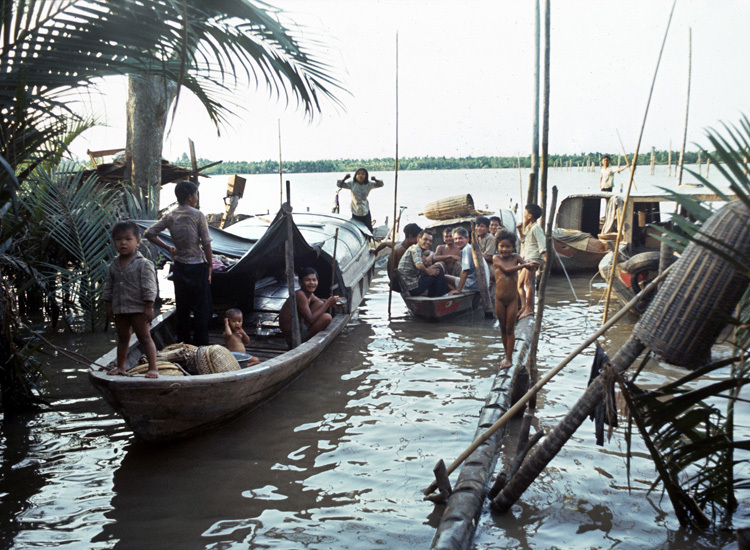 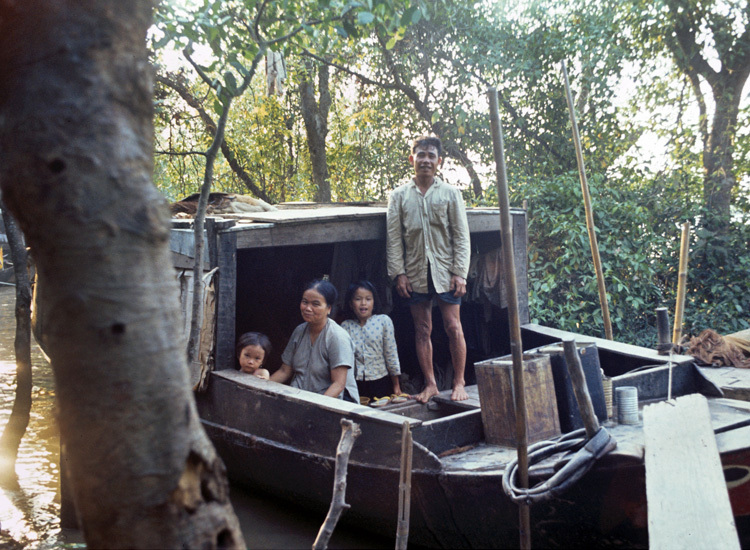 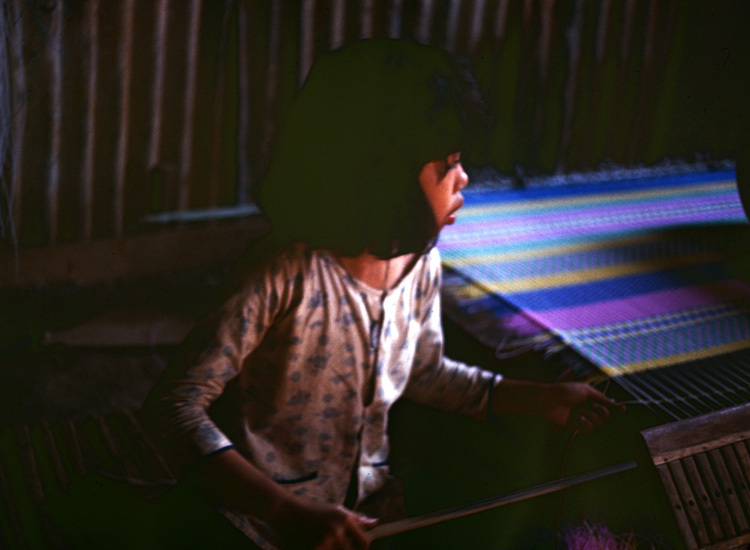 Mark the end of the Vietnam War (30 April 1975) with these powerful photographs taken from Michael Rubbo’s seminal 1970 documentary, Sad Song of Yellow Skin. 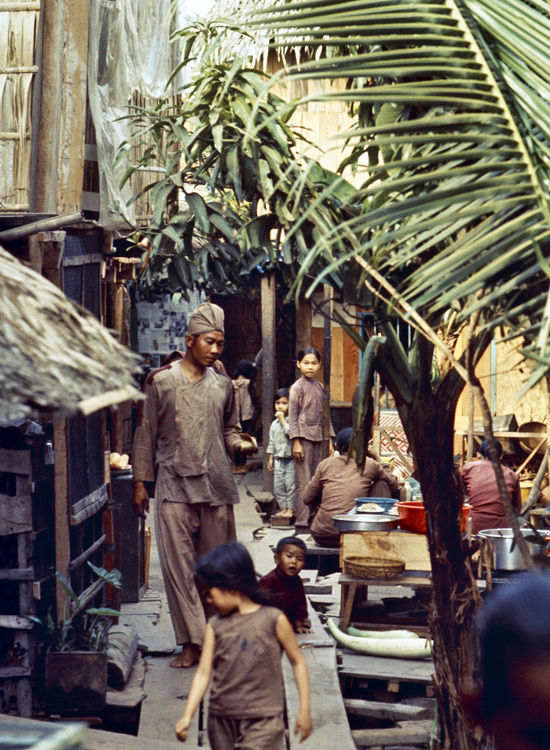 Celebrated for its stunning rawness, self-awareness and honesty, the award-winning documentary captured the complexity of the Vietnam War and its devastating impact on the Vietnamese, especially those living in the margins. 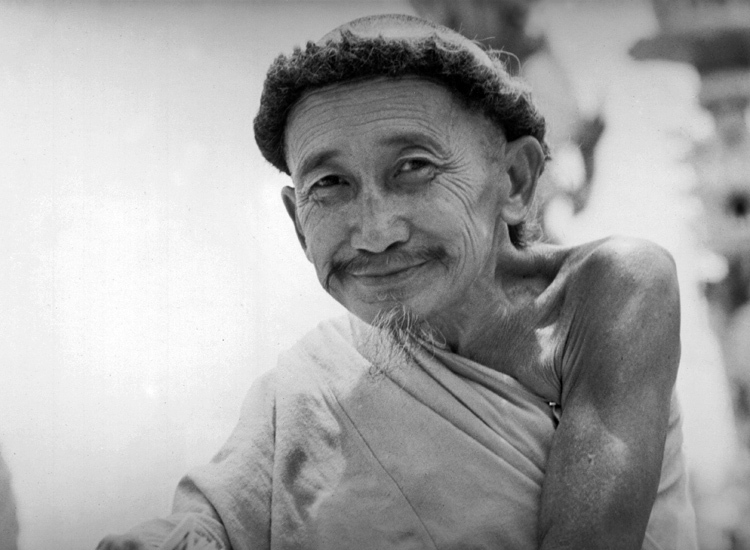 The film also immortalized the “Coconut Monk,” a tiny, visionary monk who offered sanctuary to thousands and orchestrated elaborate symbolic rituals in an effort to bring peace to his country. 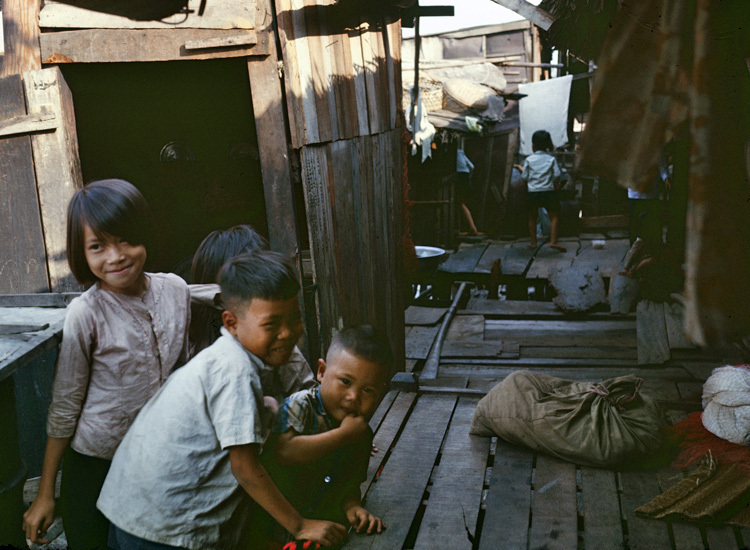 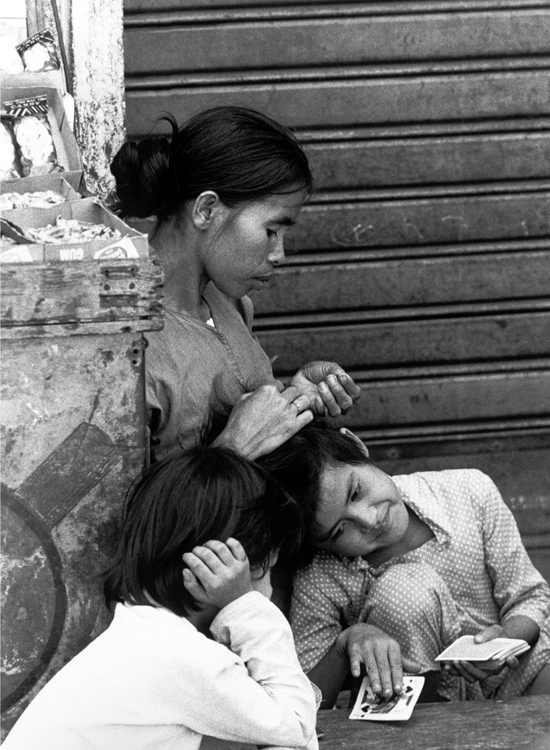 Woman sitting with children in Ho Chi Minh City (formerly known as Saigon), Vietnam. 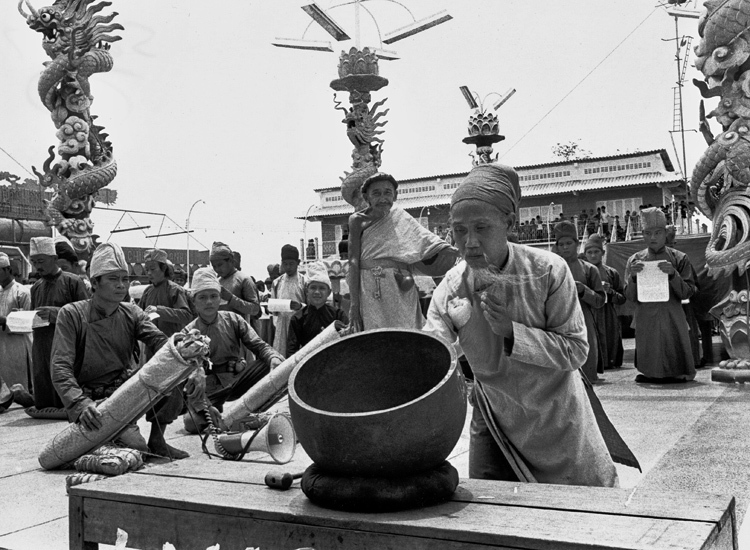 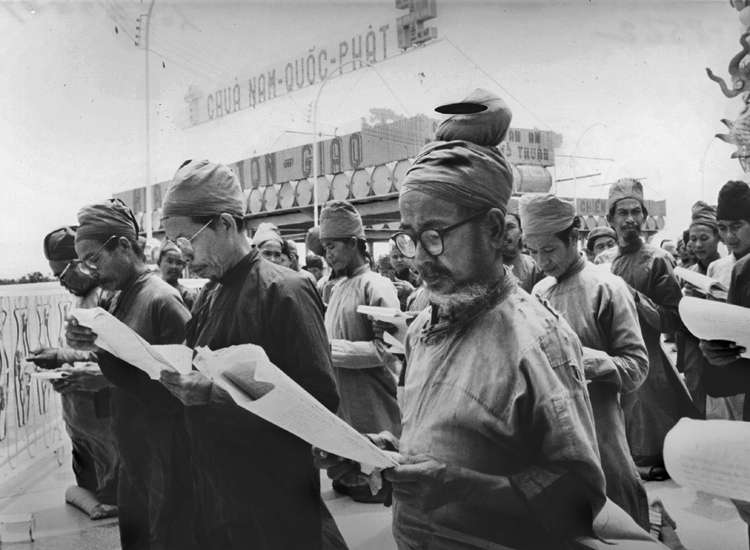 Followers of Ong Dao Dua, a.k.a. 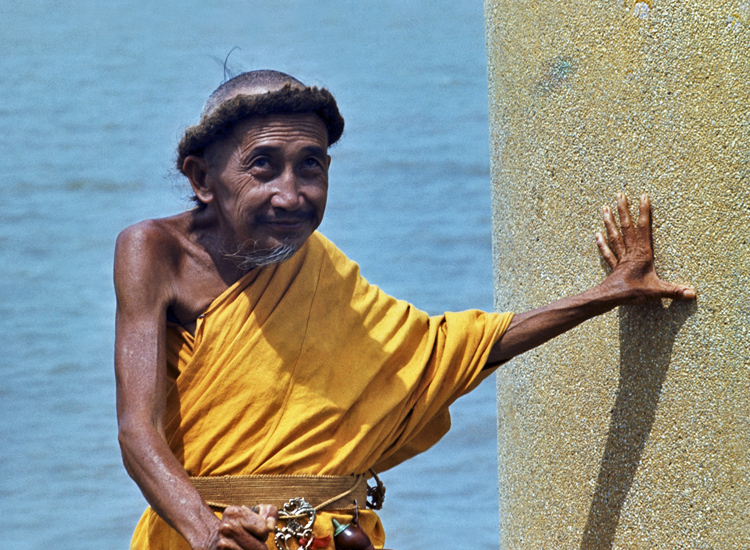 the Coconut Monk on Con Phung (Phoenix) Island in the Mekong Delta, Vietnam. 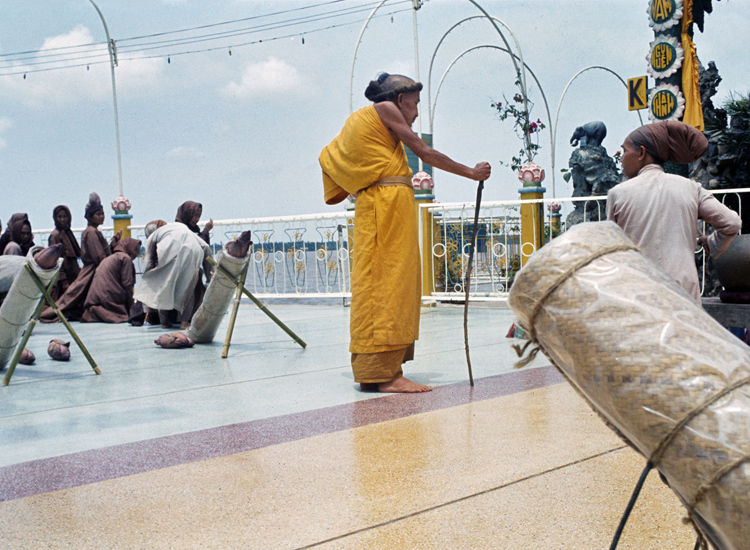 A ceremony is underway at the Coconut Monk’s religious sanctuary in the Mekong Delta, Vietnam. 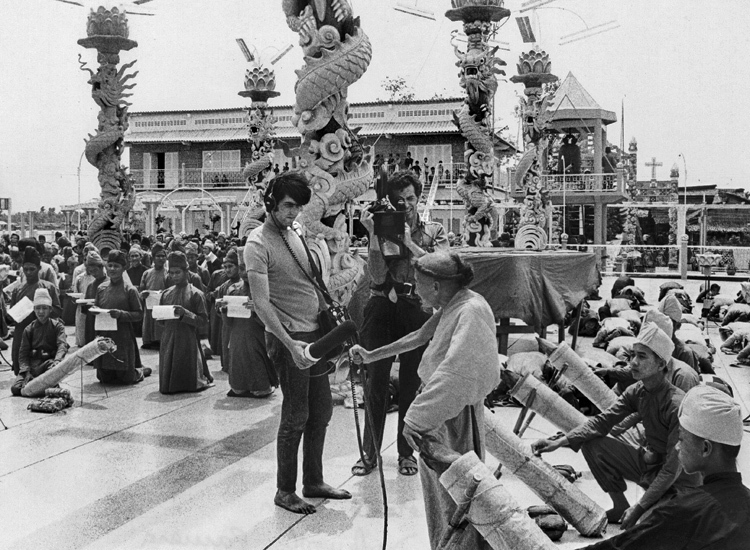 Martin Duckworth (camera) and Pierre Letarte (sound) capture the ceremony held at the Coconut Monk’s sanctuary. 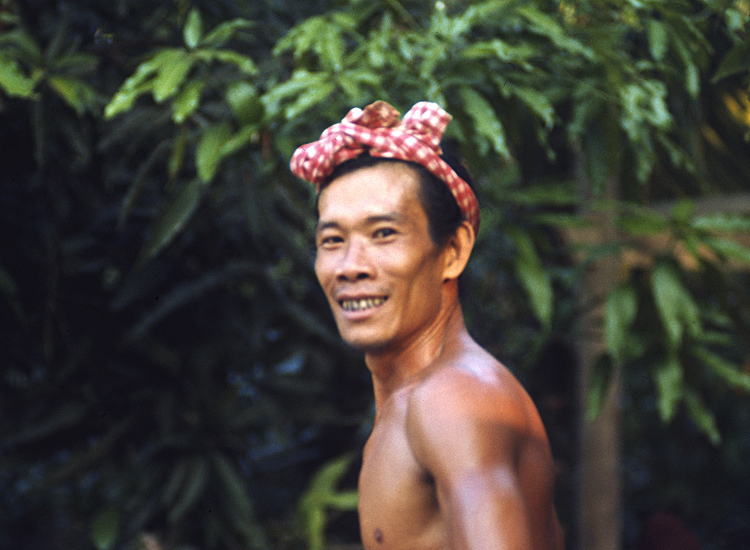 The Coconut Monk, Con Phung Island, Vietnam. 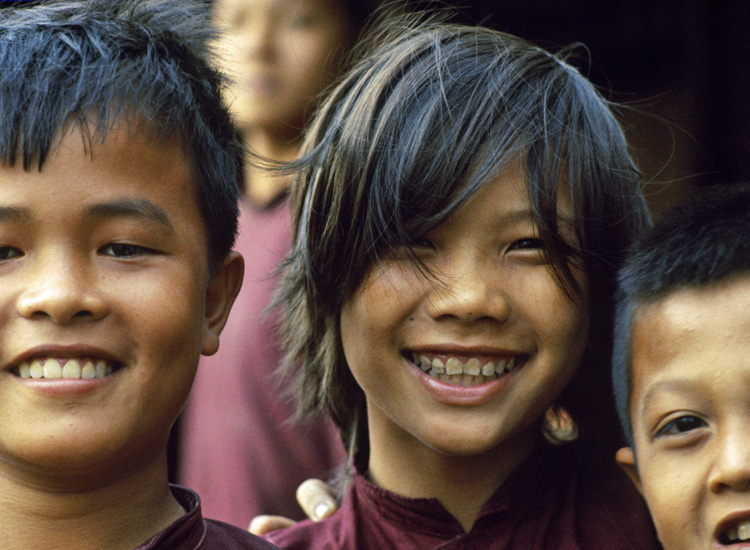 Children at the Coconut Monk’s religious sanctuary, Con Phung Island, Vietnam. 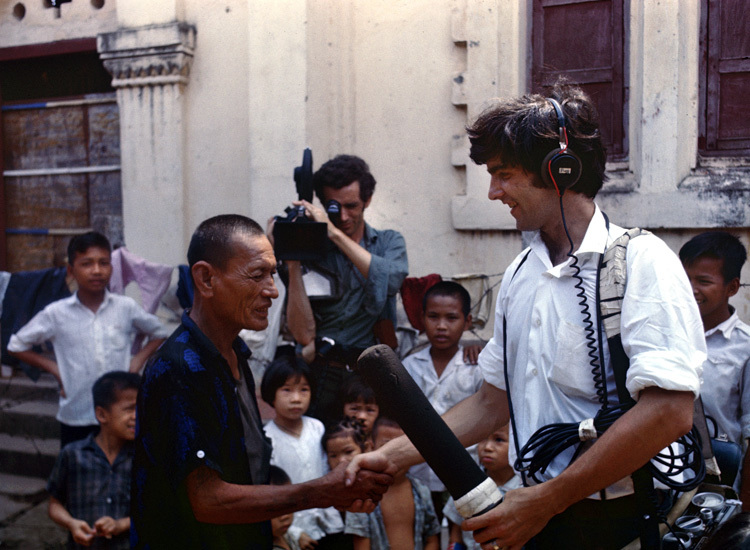 Soundman Pierre Letarte shakes hand with a 67-years-old cyclo driver while cameraman Martin Duckworth shoots the scene, Ho Chi Minh City, Vietnam. 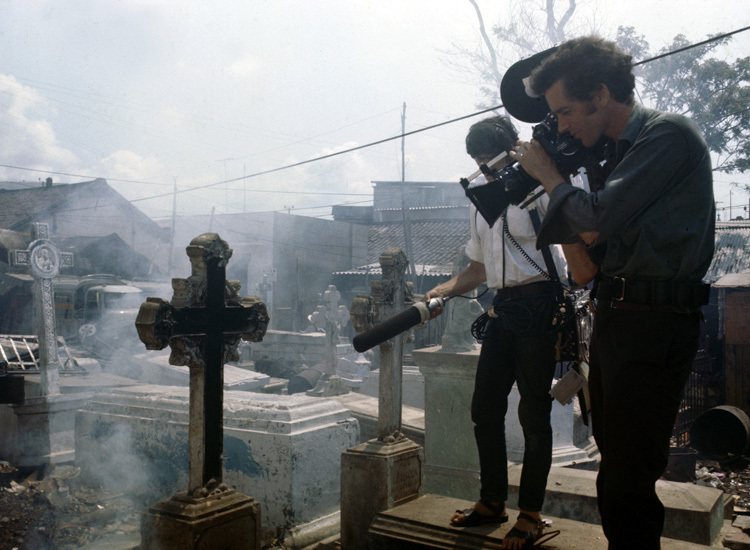 Duckworth and Letarte at work filming in the disused Catholic cemetery around which 5000 refugees live right in the middle of Ho Chi Minh City, Vietnam. 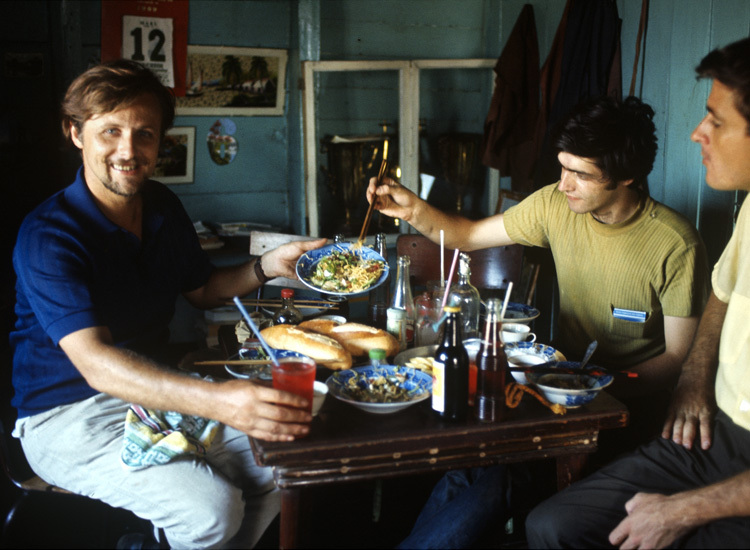 Director Michael Rubbo (left), soundman Pierre Letarte and American journalist Steve Erhardt enjoy a meal on Con Phung Island, in the middle of the Mekong Delta, Vietnam.